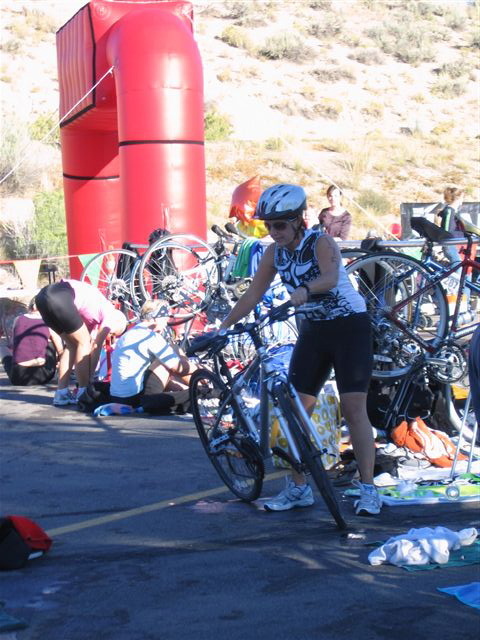 One women’s triathlon offers lunch, pedicures, and massages after the race. I have competed in one women’s only race. It was the Women of Steel triathlon. While I totally loved the chocolate and necklace I got at the finish line, I wasn’t a big fan of the high school aspect of it. It was treated more like a social event than a race. Most women did it in groups of friends, so I felt a bit like the unpopular kid alone at the cafeteria table. Women road 3 or 4 abreast holding conversations while biking. This is against race rules for a reason, as it makes it difficult to pass them. I wanted to yell at them, “This is a race, not a church social,” when I finally got around them. Even the swim was frustrating because instead of lining up by how fast you are, many lined up with friends, holding back the rest of the swimmers behind them. I wonder if men were to hold men’s only events (and I can only find a few in comparison to women), would women pitch a fit at this restriction or would we tell them to have at it? I’d tell them to have at it (but let’s be honest, they’d totally invite the women back next year when they realized no one remembered to bring water or post-race cookies).